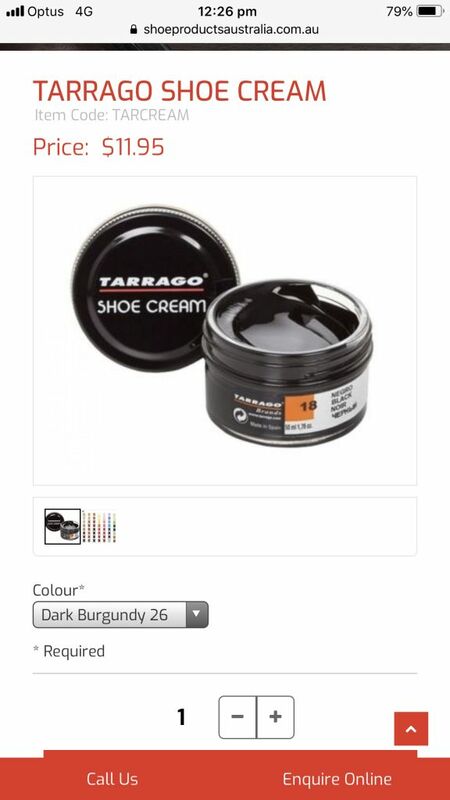 With all the comfort shoe / foot-shoe issue posts lately, wanted to share one of my coping strategies: shifting the color of shoes with Tarrago leather shoe cream (in the little pots, not the paint-on). I've been dyeing mine for almost 9 years and I know other YLFers are also dye fiends. This Earthies shoe above was the latest...I've had the pair for 7 summers but it's not that cute on my foot to begin with and I wore its twin (which I DIYed a metallic mauve-y) more. This summer I could use a dark shoe for walking-centric use, so....Reuse, recycle. I'm partial to the metallics and pearlescent shades but there are a zillion colors. Use them like watercolors -- mix together, wait til one shade dries and layer on another, etc. You never know what the outcome will be, but that's part of the creative fun for me. I did practice on some older shoes when I first started out and rec that approach. Anyway, just wanted to throw it out there for those who have trouble finding styles that work for their needs -- and then wish they could at least make them more zippy. Wow, they look so different! I almost don't recognize them as the same shoe. It's never occurred to me to dye shoes, but now I'm curious about the process. I'll have to look through my closet and see if there's anything that's not getting love that might be in need of an overhaul. I have wondered about dyeing shoes! What a great example of what can be done. Perfect solution and thanks for sharing it. I’ve often wished shoes were a different color. What do you use to apply: brush, sponge, cloth? Is it colorfast ? What an excellent idea! They look great. Love it! I always thought the dye would rub off on my feet. Happy to share...know there have been posts here in the past, too, so might be worth a search. This was a mix of antique silver (metallic) and midnight blue. The concept is pretty close to fingerpainting. I use a soft cloth on smooth leather, an old toothbrush for suede (or "crevices" on smooth leather). I prefer multiple thin layers. The deeper colors seem to have more pigment so you get more coverage faster. It's the same stuff shoe shops often use to polish shoes -- only they're doing black on black, silver on silver, red on red etc -- so it's conditioning. Which reminds me -- if you DIY then need a repair, tell the pros not to clean your shoes or you'll be starting over. It's colorfast, but if you scuff it you may reveal the original color. Just do a touch-up and blend it in (so if you do a custom mix, keep some in a glass jar). With the pearlescent or metallics I personally don't bother...they're very forgiving and I like a patina'd look where you see layers of color. I generally polish mine yearly or as needed just like I do with my boring shoes. Vix, thanks. I am interested in this too. I’ve looked at dyeing my shoes but the stuff I read says you have to apply a colour remover first or the new dye won’t take. Which increases the hassle factor. I take it that you don’t do that? I am inspired! Have you ever dyed patent leather? Suntiger -- less messy, that's for sure haha! Brooklyn and Shevia -- have never applied a color remover for the cream polishes. Though after doing several pairs read one should clean shoes with acetone (some types of nail polish remover) as step 1 to remove any finish / treatment. Did try that but went back to ignoring. And dang Shevia, I was feeling bold moving into suede last year ha -- can't say I've tried patent! Your turn. Brooklyn, yes, that's the brand. Re the suede / nubuck: will save you the long version, but short version is that last summer a very experienced saleswoman specializing in shoes got quite offended when I looked dubious about using the leather shoe cream on suede. So I figured WTH and tried it and before I could say bob's your uncle, I had shifted the color. I think it may stiffen the nap up a bit, but OTOH I haven't tried brushing out the 2 pairs I've done. I love Tarrago, and your “new” sandals. What a great color! You are creative and fabulous. Nice job, Vix. I'm sure very satisfying. Gorgeous and a great tip -- thank you! ooo...so timely as i stare at a pare of dove grey booties that are looking more lavender than i like. i might try to cool down the gray. Love how they turned out! Maybe one day I will muster up the courage to try this. I always worry that it will look uneven and splotchy. lyn67, yes this made me think of ClearlyClaire as well. Miss her! Your “ new” shoes turned out beautifully. Thank you for this post. It is an insiration for transforming comfortable duplicates to something new. Should one even try to turn black leather booties into white ones? JAileen, don't you love that their products *work*? Robin and BJ111 -- hope you'll share any afters! With the cream there's no worries about peeling etc. Angie, Suz, Rachy -- thank you. Having greatly lowered my shoe search frustration with this strategy I've never looked back, ha. Yes, I miss Claire too! I was thinking she'd done shoes too but of course you're right: bag. AJ, along the lines of fading memory I thought you were one of the YLF old-timers who'd jumped into shoe dying. Probably because you're always finding and adapting items to suit you. Joy -- that's a pretty ambitious goal and I know the general consensus is easier to go from light to dark -- but I don't know! I've taken black to a dark green + dark pewter / burnished silver shade (end result not that different from shoe shown) with the darkest cool metallic. So you could cover with, say, navy then add a dark metallic if you don't want black as a base. The only light shade I've bought was a bone for a touch-up and it didn't seem too pigmented. That said, it's be an interesting experiment for us all to see!